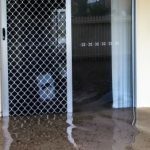 Are you looking for professional flood services? You need a single company that can properly take care of everything. In Tustin that’s Restoration Masters. We have certified technicians in all aspects of water damage removal and mold remediation as well as fire damage restoration. With years of experience and glowing customer reviews you can be assured that we’ll do the job right. That’s a big load off your mind during what we know is a difficult time. Whenever water of fire disaster strikes immediate action is necessary. 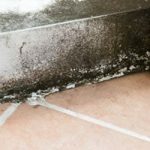 Mold can become rampant in a little as 24 hours, and water quickly soaks in to where it causes wood to crack and warp, sheet rock to crumble, and more. Smoke soon penetrates so deeply that it can no longer be removed. So all the right cleanup actions must be taken within a brief 24-48 hour window, otherwise you’re stuck with additional building destruction and must discard even more belongings. You can take care of all that with a single call to Restoration Masters. Our experts are available live 24/7, and our fast response teams can be at your Tustin location within an hour. 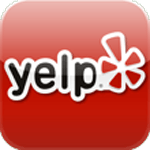 We’ve worked hard to build and maintain our reputation as a leading Tustin water damage contractor. We’re a family owned and operated flood company with additional expertise in mold removal, leak detection, storm damage repair, fire damage repair, and pack out services. Fully licensed and insured, we abide by all codes and regulations and always follow industry best practices. You can count on us for everything you should be looking for in a restoration contractor. Experienced & Dependable We’re a local company with years of experience in commercial as well as residential work. Our goal is our clients satisfaction so we provide personalized customer care. Technical Excellence Our technicians are certified by the CRA (Cleaning and Restoration Agency) and IICRC (Institute of Inspection, Cleaning, and Restoration Certification) in specialties covering our full range of services. And we back them with a huge inventory of the latest in specialized equipment for the very best results. We can restore buildings to like-new condition, and recover as much furniture and as many possessions as is possible. Insurance We’ve nurtured good working relationships with the leading insurance companies serving Tustin. So we know exactly what documentation (it’s extensive!) and preventive measures they require for swift and smooth claim processing. We’ll work directly with whatever insurer you have to save you time, worry, and hassles. That includes billing them directly so that you don’t have to pay anything up front. We know that you want everything taken care of without headaches or delays in order to get your life back to normal as soon as possible. And that’s exactly what we do. 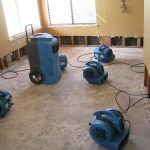 Flood Damage Removal Our expert flood restoration teams will provide rapid pump out and mud removal together with absolutely thorough sanitization. We can then complete any necessary flood damage repair work. Water Damage Removal We really shine when it comes to water damage removal. Our water damage restoration experts use advanced water extraction and structural dry out equipment to remove every last bit of excess moisture before it can do further harm. We’ll disinfect and neutralize odors, and our skilled crews can complete whatever water damage repair is necessary. 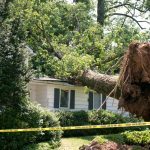 Storm Damage Restoration Beyond flood services our specialists are ready to tackle your storm damage removal needs including debris clean up and flood damage repair (such as re-roofing and window replacement). Mold Remediation To protect your home and family (or business location and employees) our certified specialists follow every mold removal regulation and guideline to the letter, preventing the spread of mold and its associated allergens and toxins. Our work is also exhaustively thorough to avoid regrowth. 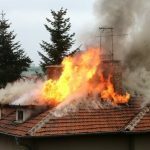 Fire Damage Restoration We’re one of the few companies in the Tustin area fully qualified to handle all aspects of fire recovery. That includes securing the building, repairs, demolition, and reconstruction. We’ll also take care of water damage restoration and mold abatement as well as prompt and thorough smoke and odor removal. We urge everyone to get prepared, and stay prepared, for emergencies. Over a 60-year time frame ending in 2010, http://www.usa.com/north-tustin-ca-natural-disasters-extremes.htm reports a total of 198 incidents of strong winds, 192 floods, 152 earthquakes (magnitude 3.5 or above), 66 wildfires, and even 7 tornadoes (magnitude 2 or above) within 50 miles of The City of Tustin CA. You can download brochures covering preparation for earthquake, extreme heat, flood, wildfire, and other emergencies from http://ochealthinfo.com/bhs/disaster. Or better still sign up for a Community Emergency Response Team (CERT) basic training course at http://www.tustinca.org/depts/police_new/jointeam/cert/default.asp. We also urge everyone to be sure they have insurance that covers earthquake, wind, flooding, and water damage repairs. Policies typically don’t take effect for 30 days (or longer), so if you wait until you hear of an approaching storm it’s already too late.